The Water Rocker from ION is a device that lets you listen to music while you’re chilling out in a swimming pool. 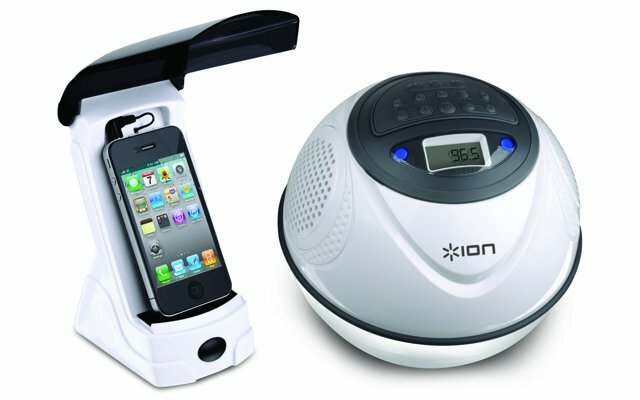 It is made up of two components, a transmitter and a waterproof wireless speaker.Your iPod, or any other compatible audio source, is plugged into the transmitter and stays on dry land, while the ball-shaped, waterproof (iPX7) wireless speaker can follow you into the water up to 150 feet away from the transmitter, bringing your tunes with you. And also you can use the built in FM radio for some news, sports or music that you don’t have. If one speaker isn’t enough, you can add up to 9 additional speakers to one transmitter for greater effect.The ION Water Rocker will shown at 2011 Summer NAMM exibition.